Description: On this episode, Laura Chandler speaks with bestselling author and scholar, Robert Thurman, who was in town for the Science and Non-Duality Conference in San Jose (SAND). Bob is a recognized worldwide authority on religion and spirituality, Asian history, and Indo-Tibetan Buddhism. He is the co-founder of Tibet House and the author of many books, including Infinite Life and Why the Dalai Lama Matters. In this interview, Bob and Laura talk about the conference, his latest book – a graphic novel about the Dalai Lama, Man of Peace: The Illustrated Life History of the Dalai Lama of Tibet – and some of Bob’s favorite subjects, like the dogma of materialism, the absurd belief that nothing exists, and how Buddha actually discovered relativity. 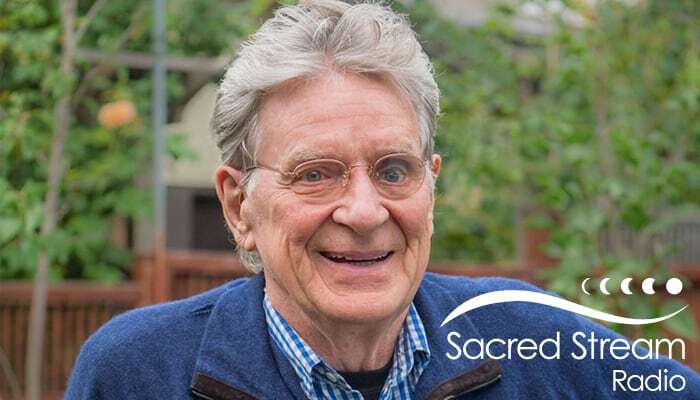 To learn more about Bob or to listen to his podcast, visit bobthurman.com. For more on his classes and retreats, visit his retreat center website, menla.us, or Tibet House’s website, tibethouse.us. Our featured music in this episode is from Dan Walters’ latest release, Imaginary TV. To learn more about Dan, visit danwaltersmusic.net.